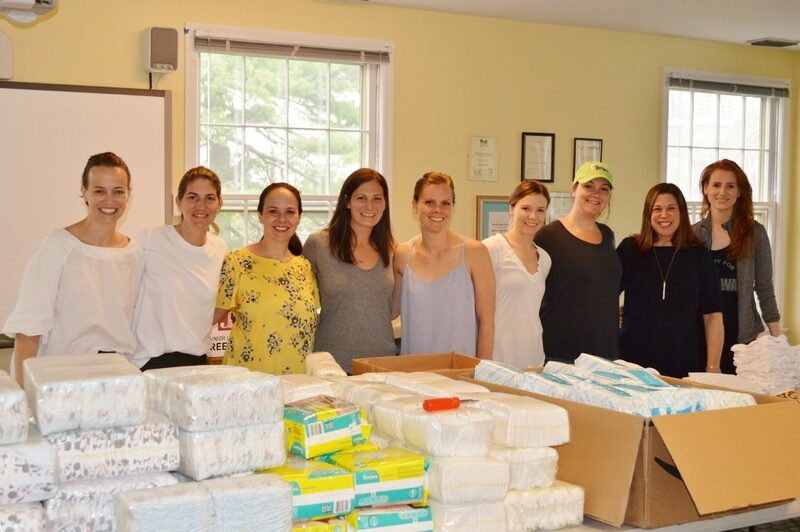 The Junior League of Greenwich (JLG) supported 41 new mothers through its annual Baby Bundles Project, in partnership with Neighbor to Neighbor. Neighbor to Neighbor is a Greenwich based non-profit food and clothing resource for residents, and has been a vital member of the Greenwich community for over 40 years. The Junior League’s goal every year is to supply new mothers with a baby bundle, which is a starter set of supplies to assist them in welcoming a new baby home. The Baby Bundles help provide new mothers with supplies not available to them at the food and clothing pantry. Throughout the month of March and April, the Junior League was able to collect many donations of unopened diaper packages, onesies, blankets, clothes, new pacifiers, new bottles, burp clothes, bouncers and other items to support these new mothers and babies. The JLG also received generous donations from the following companies: The Steven & Alexandra Cohen Foundation, Zarbees, Fridababy, and Tiny Tots Kids Consignment. On Saturday, May 5, Junior League members delivered the 41 Baby Bundles to the new mothers. The Junior League members were happy to continue their partnership with Neighbor to Neighbor and provide the families with items for their new baby. The JLG would like to thank all of the companies and individuals who donated items. It was successful and the moms were very appreciative.